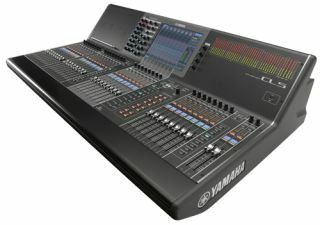 Yamaha Commercial Audio Systems, Inc. has announced the launch of the new CL Series of digital consoles. The three consoles made their official debut at the ProLight+Sound Expo in Frankfurt, Germany. The Yamaha CL Series is a Dante network-based console featuring remote I/O for a faster, more responsive solution. All three CL models in the Centralogic™ series, only differentiated by frame size and input capability, feature 24 mix buses, 8 matrix buses, plus stereo and mono outputs, and 16 DCAs. The footprint of all three CL consoles is small, yet powerful and has been developed for sound reinforcement applications such as performing arts venues, theaters, houses of worship, touring, and remote broadcast. Up to eight external Rio (Remote I/O) boxes can be used for a total of 256 channels via the Dante digital network. The 5U rack space Rio3224-D includes 32 remote controlled mic/line inputs, 16 line outputs, and four AES-3 outs. The 3U Rio1608-D includes 16 remote controlled mic/line inputs and eight line outputs. Dante network I/O can easily be set up and patched utilizing familiar paradigms within the console user interface, with no external software required for network operations.